Remove roots, fat, scale, mortar other poorly disposed trade waste! 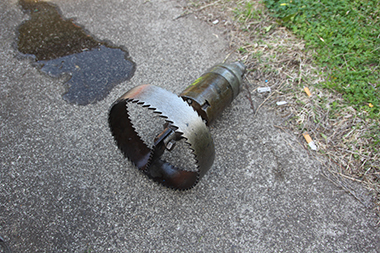 When High Pressure Jetting is not enough the use of a Root Cutter can be employed in pipes ranging from 90mm to 450mm in diameter. Root cutting works on the same principle as jetting the difference being the use of high pressure water driven rotating blades to grab and rip away at infiltrating tree roots , mortar and other trade waste, fat and scale build up restoring pipes to full capacity. Please be aware that Debris or other material removed form sewers and drains are the owner/occupiers responsibility unless otherwise arranged with the operator.